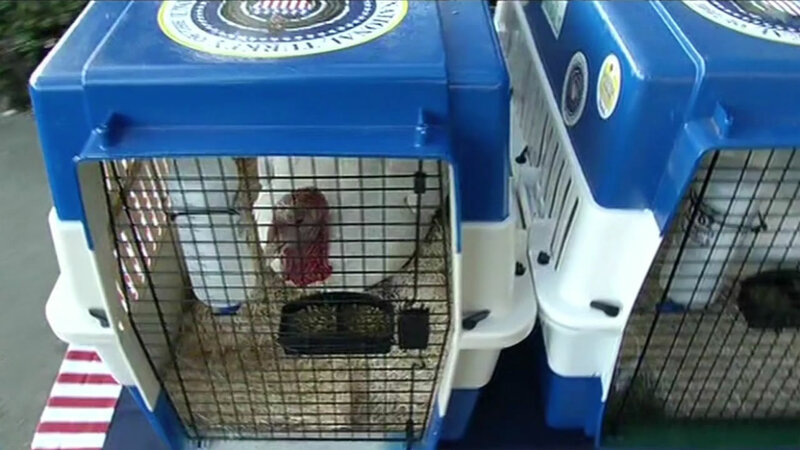 WASHINGTON (KGO) -- The National Presidential Turkey and his alternate have just departed from SFO and are currently en route to the White House. A motorcade with the turkeys arrived at the airport around 9 a.m. and they departed at 11 a.m. The United Airlines flight is dubbed Turkey One. President Obama will pardon the birds ahead of Thanksgiving. This year's turkeys have been raised for nearly four months at the Foster Farms ranch in Modesto. After their visit to the White House, they'll live out the rest of their days on a farm.